It’s a well-known fact among parents of the students at St. Didacus Parish School that their young ones are an enormously talented bunch. And on Tuesday, May 15th, the rest of the world (or at least those in attendance) got to see it for themselves at the annual Talent Show held in the St. Didacus auditorium. It was an evening of food and entertainment, as the talent show was preceded by the always-popular Spaghetti Dinner, where the PTG gets the opportunity to serve the many parent volunteers and school families as a way of saying thank you to them for all they do for St. Didacus during the year. It’s always a wonderful community event, and this year was no exception. 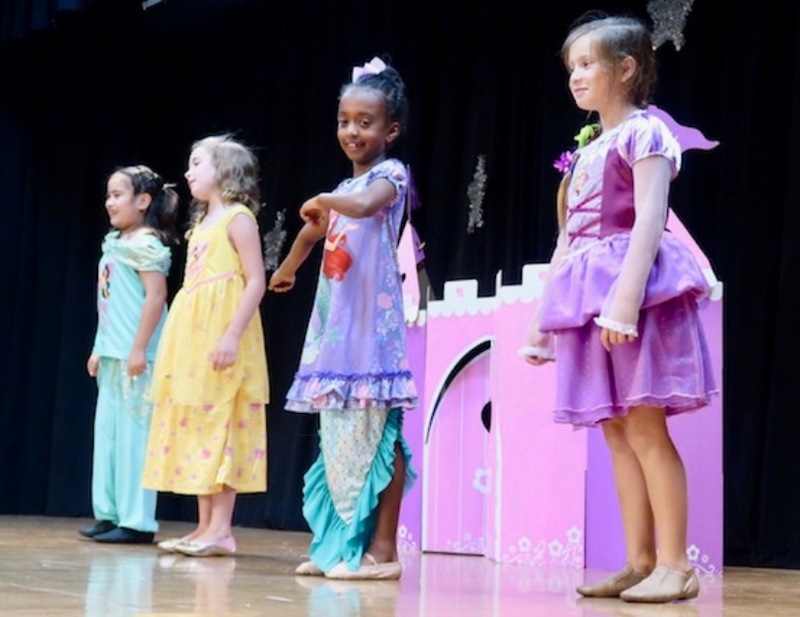 Every grade from 1st through 8th was represented by one or more students, and the acts ranged from dance, to martial arts, music, gymnastics, magic, and comedy. There were violinists, flutists, pianists, one ukulele player, and a host of other non-musical acts, including a show finale that had to be seen to be believed. Even several teachers got involved, participating in a show-stopping dance number that wrapped up the entire evening on a comedic high note. The auditorium was jam-packed with parents, students, extended family members and teachers, all of whom provided wonderful support to the students who were performing on stage. This was important, because the students realized quickly that there is a big difference between performing at home and performing in front of a live audience. The supportive and encouraging crowd was just another fantastic element that made the evening such a special one for all. It’s evenings like this that show once again how special and unique St. Didacus School is, and how we all come together so often as a family to showcase our students’ abilities and encourage them to be all that they can be.